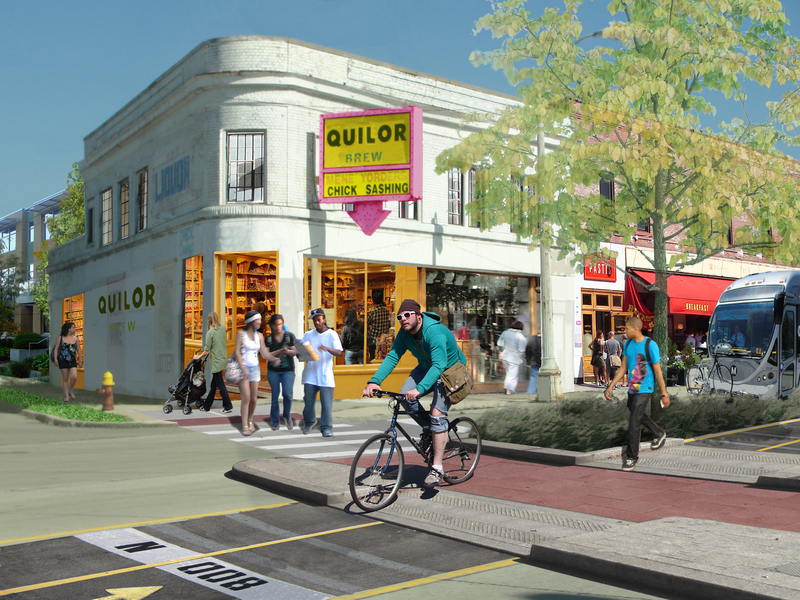 It’s time to move away from automobile-oriented infrastructure and invest in public projects centered on people. We’ve been constructing our lives around automobile-oriented infrastructure for so long that it has not only impacted the physical form of the places we live; it has greatly shifted the way we think about how we build the world around us. The good news is that after almost seven decades of highways, strip malls, and pay-at-the-pump, the lifestyles generated by this brand of infrastructure are increasingly less desirable. Once again, we have started to change our cultural mindset–our “consumer preferences” for our future. Evidence can be found in buzzwords like “sustainability,” “aging in place” and “active living,” or current reading about millennials eschewing drivers licenses, cul-de-sacs, and golf clubs in favor of walkability, transit, and Wi-Fi in public spaces. Mobile technology and the ease of information sharing have suddenly offered us new cultural perspectives that will have implications for our built environment on par with the changes that came with the automobile. We have more flexibility in the geography of where we live and work, and as a result, many cities and towns are flourishing again, partly because they are inherently more attractive to this increasingly mobile workforce. People with choice are seeking more social environments with mixed-use districts, better cultural resources, greater mobility and a more robust public realm. Business and government are responding in turn, and the communities that recognize and take advantage of these changes first will be best positioned to succeed in a more competitive future. One way communities can re-envision their futures before having to address the political challenges to change is by strategically investing in innovative, nonpartisan, public works projects. These projects not only begin the physical transformation that will attract future residents and jobs but will also ignite a cultural shift in thinking about what kinds of policies we should adopt. A growing number of these catalyst projects are popping up around the country and–to varying levels–seem to repurpose existing infrastructural assets. Whether they are multidistrict undertakings, like the Bloomingdale Trail in Chicago or complex regional proposals like those for the Los Angeles River, these projects not only transform the physical form of their cities; they change our cultural expectations for how we want to live and how our physical environment should be built. One of the most innovative and comprehensive proposals of this type is the Atlanta BeltLine, a 22-mile loop of old railroads being transformed into a linear park with streetcars and bike and pedestrian paths connecting more than 40 diverse neighborhoods, as well as city schools, historic and cultural sites, shopping districts, and public parks. It organizes adjacent urban land for transit-oriented development, expands transit service within the urban core, and connects various parts of an emerging regional trail system. What started as a kernel of an idea has become a catalyst for other city changes, including over 1,000 acres of new parks, the largest affordable-housing initiative in the city’s history, and one of the longest and most unique arboretums in the country. As the BeltLine expands, it reinforces changing cultural preferences and further empowers leaders to improve public policy, which ultimately will have an impact much larger than the project itself. Not only are projects like the Atlanta BeltLine generating local movements, they’re inspiring other communities to find their own catalyst projects. Perhaps no other city offers a more provocative opportunity to do this than Detroit, where the challenges for rebuilding are almost overwhelming. Detroit has an incredible network of roads and highways that are now significantly underutilized in a way not too different from Atlanta’s railroads. This valuable infrastructure could be repurposed in such a way that it changes the paradigm of Detroit, accommodating the city’s smaller population and tax base, while at the same time elevating the quality of life for its residents, as opposed to simply reducing the infrastructure they are obligated to maintain. 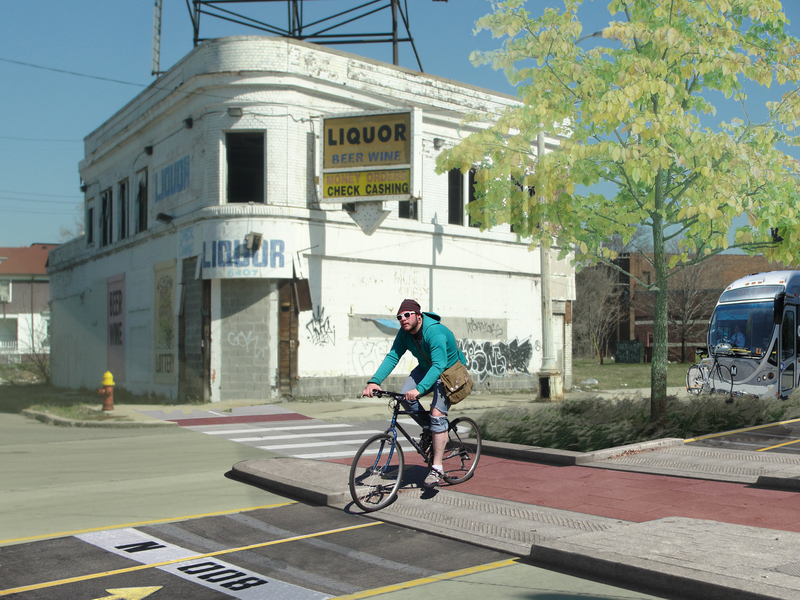 If Detroit wants to be a thriving part of the future, it needs a catalyst to jolt it from its automobile-mindset and transform it from a city built for cars into a city built for people. At a regional level, it isn’t the vast street grids of central Detroit that should be abandoned for urban agriculture. These are actually the most sustainable parts of the region, and the growing cities of the American Sunbelt would give up their firstborn edge cities for such a robust urban plan. The unsustainable parts of Detroit, as in most American cities, are on the fringe, where car-dependent populations are stuck in a disconnected composition of cul-de-sacs and outparcels and where the interconnected network of infrastructure found in central Detroit would be impossibly expensive to replicate. The robust infrastructure of the city center is actually one of metropolitan Detroit’s greatest assets, and its redesign could provide the powerful jumpstart it needs to alter not only the physical form of the city but also the way Detroiters–and the rest of us–think about the Motor City. 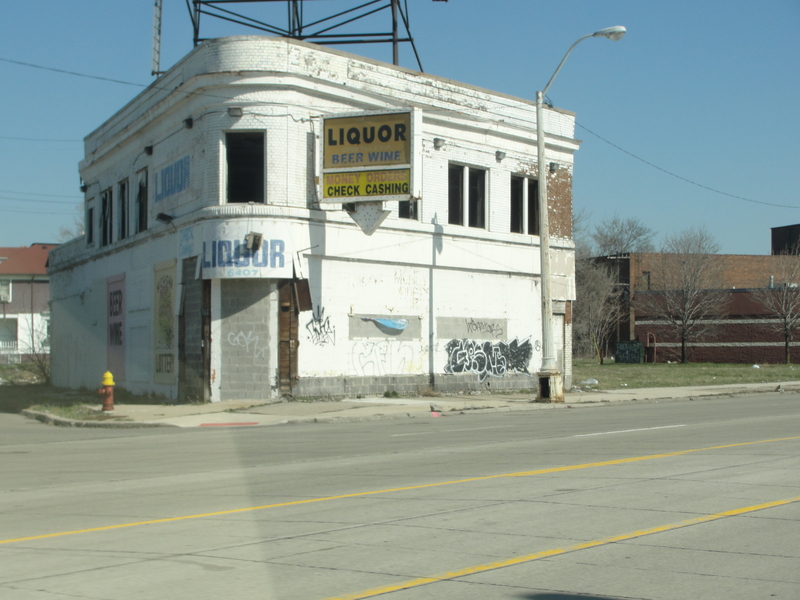 The highways that were designed to empty central Detroit at the end of each business day should be largely abandoned. They did their job and are no longer needed. Greenways could be built in their place, along with repaired connections to the urban grid (imagine something like Boston’s Emerald Necklace linking the Detroit River directly to Wayne State University). And the grand nine-lane avenues that radiate from the city center, such as Woodward, Michigan, and Gratiot, which once accommodated a variety of transportation modes but over time devolved to serve just one (the car), would become the primary structure for the new sustainable Detroit, taking lanes away from cars and giving them back to people. By implementing transit service and bikeways along these routes, supported by zoning, business incentives, and an appropriately open-minded political atmosphere, these revived avenues, just like the Atlanta BeltLine or the Los Angeles River, could become an infrastructure framework on which multiple futures for the city are built, none of which we can possibly right now imagine.